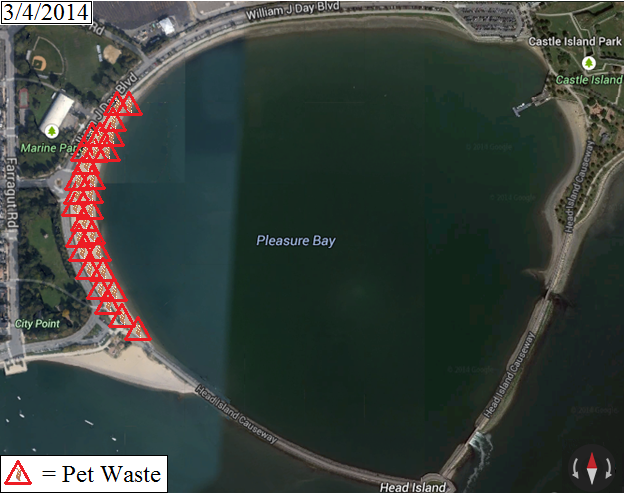 Earlier this year I was asked to take part in an investigative study to identify whether or not dog waste could be responsible for elevated enterococcus bacteria levels at Pleasure Bay, Savin Hill, Malibu Beach and Tenean Beach. Last year nineteen beach closures were attributed to elevated levels of this bacteria. Since there are no sewage discharges into the Harbor due to the completion of South Boston's CSO project it was concluded that there were no point sources responsible for this event. This meant that either the test were not accurate or that the sources of elevated enterococcus were the result of some event that either took place on the beaches or directly in the water. Since there were no sewage discharges into the harbor that left only animal waste as the possible source. Of the animals that are present at these beaches only two could generate enough waste to create conditions in which enterococcus bacteria could exceed the safety standard 104 cfu , birds and dogs. However, previously reviewed research comparing the concentrations of enterococcus in bird and dog waste concluded that the concentration of this bacteria in dog waste was greater by more than twice the magnitude. Therefore we concluded our preliminary research and decided to focus our onsite beach investigations towards dogs and whether or not their caretakers were demonstrating responsible waste management practices on South Boston beaches. What we observed on these beaches in March ranged from neglectful to deplorable. Most of the beaches were riddled with dog waste and 95% of the dogs observed were not on leash. At Pleasure Bay alone our group counted twenty-eight instances of dog waste left on the beach. Ironically enough, this was the only location that had a dog waste bag dispenser (although it was empty). All of the locations we investigated had clear signs posting beach ordinances for dog waste removal and leash laws. We also noticed dog walkers in clear violation of these ordinances and at one point counted over thirty dogs running amuck at Victory Park. disrespect for the beaches and the law we never saw any authoritative personnel enforcing the ordinances. I am certain from these observations that most of you would agree with me when I say, more has to be done in order to ensure the quality of these beaches. As we continue our research investigation I hope what we found this winter does not reflect the behaviors of dog owning beach patrons throughout the entirety of the year. Having owned dogs myself, I am aware of what goes into taking care of them, but at no point does the amount of work give us an excuse avoid our responsibility to them or our community. Every time one of us allows our dog to crap on public property without picking it up, that crap is both literally and figuratively crapping on all of us. 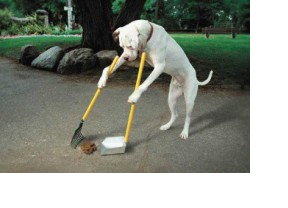 So unless you are training your dog to pick up after itself please be prepared and responsible to pick up after your pet. 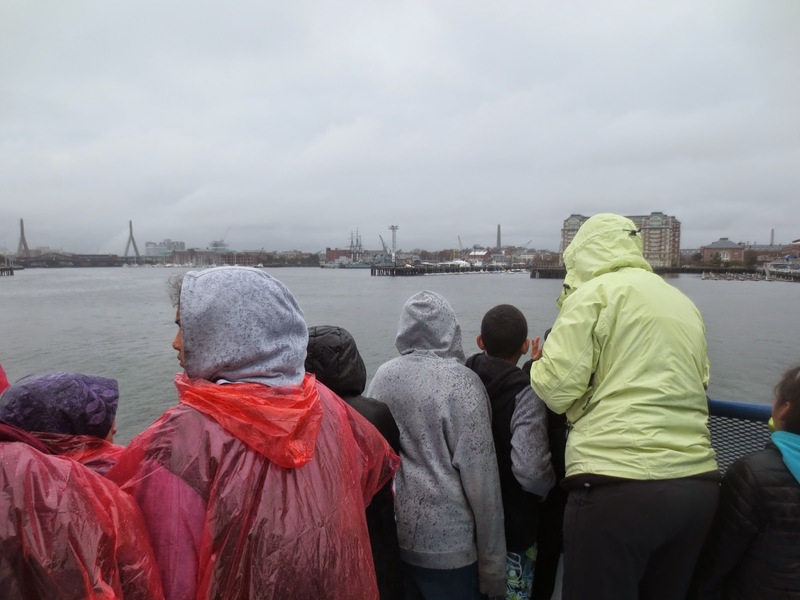 On Saturday, April 26, Save the Harbor/Save the Bay ran our annual Marine Mammal Safaris on Boston Harbor. 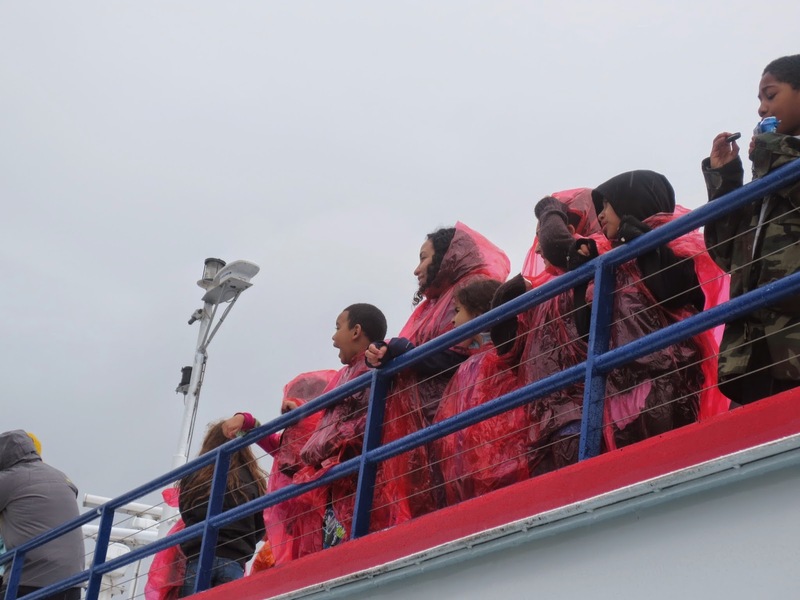 More than 800 people registered for the free event, and despite cold and rainy weather, hundreds showed up and took part in the two lively and exciting cruises. aboard the MV "Freedom" which departed from Mass Bay Lines' dock at Rowes Wharf. the West End House Boys and Girls Club. The weather was cool and a little wet - but everyone still had a great time! including this one just off East Boston, photographed by Des and Terry. which has been the official sea shanty of Save the Harbor/Save the Bay since 2009. Haul Away Joe a very old song, but its message is still true today. If you want to get something done, we all have to pull in the same direction and "Haul Away" together. It is how we cleaned up Boston Harbor and created the Boston Harbor Islands National Park. This year we added a new element to the trip and asked people to write a new verse for the song. Nearly 50 people took part in the contest, and were each entered into this summer's "Simply Marble-ous Treasure hunt with a chance to win a round trip ticket on JetBlue Airways." Save the Harbor's BayWatcher led the song on this year's trip. "Bruce Berman is the BayWatcher, he works for Save the Harbor. He looks real good in his red coat, but he sure could use a barber!" "When I was a little lass, the harbor was a sewer. Now it is the city's gem, a joy to every viewer." "The sea did roar, the sky did sway, the captain held the ship so steady. And so we're told from a trip so bold, the harbor's got adventures plenty!" "We came to see seals, we'll see wind and rain. There were giant eggs of waste from what goes down the drain." "Thompson, Lovells, Georges, and Spectacle that's new. When you are at Boston Light you have an amazing view." "To Boston Harbor, great and wide, through the sun and rain. We'll sail with excitement to see the seals again." From an outing with our friends at Save the Harbor/Save the Bay!" "It rained all day, but that's ok, we got to sail the harbor. I see some seals and birds and whales, but I wish that I'd see some lobsters!" "The harbor used to be a mess, it drove everyone away. 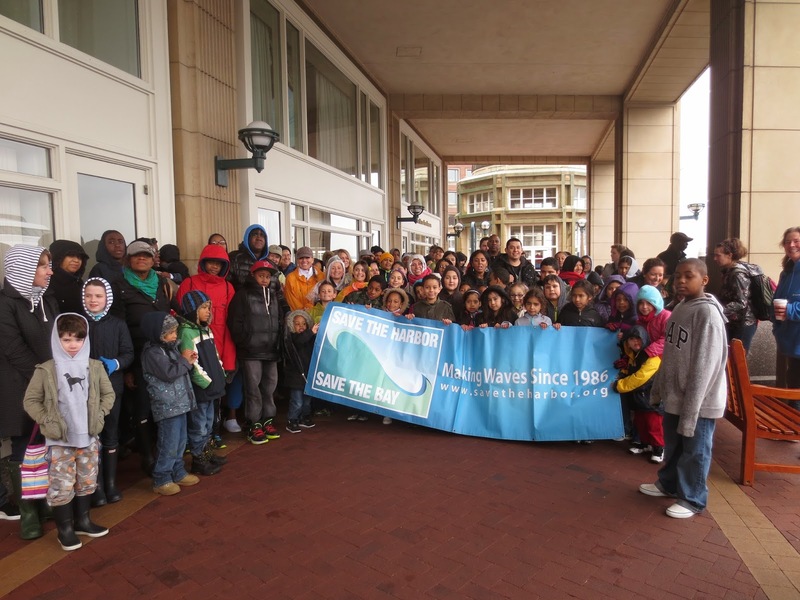 The cleanup was a big success, thanks to Save the Harbor/Save the Bay." "Mahita and Rishi, they hail from India. We asked them where that was, they told us is was faaahhh!" "Arwa was a desert rose, she was sad and lonely. When she came to Boston to find her one and only." You can find more pictures and videos from the Marine Mammal Safari here. 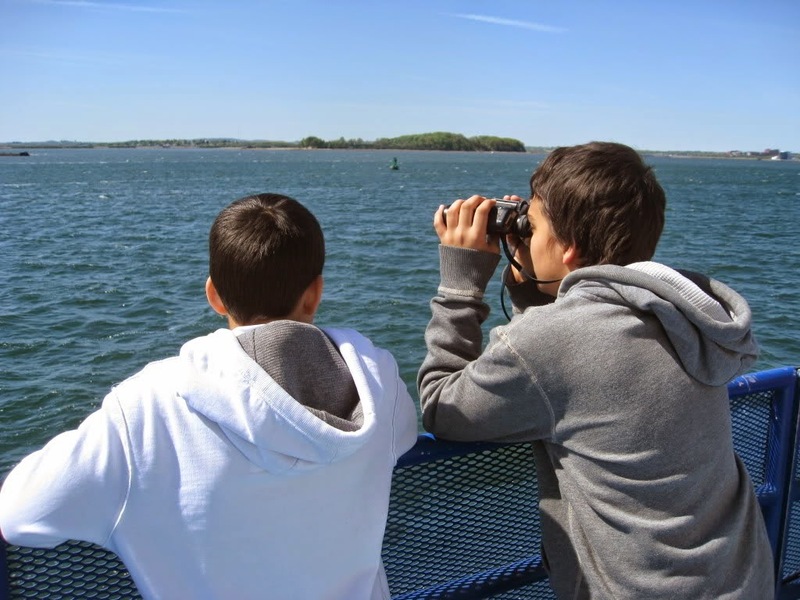 Save the Harbor’s youth environmental education programs are made possible with Leadership Grants from Bay State Cruise Company, The Coca-Cola Foundation, Distrigas/GDF SUEZ, the Ludcke Foundation, and the Yawkey Foundation II. Save the Harbor is grateful for Partnership Grants from Forrest Berkley and Marcie Tyre Berkley, Blue Cross Blue Shield of Massachusetts, The Fallon Company, John Hancock Financial Services, Inc., Massachusetts Port Authority, P&G Gillette, Schrafft Charitable Trust, Jay Cashman Inc., The Chiofaro Company, Circle Furniture, The HYM Investment Group, Massachusetts Bay Lines, Massachusetts Water Resources Authority, National Grid Foundation, and Clinton H. & Wilma T. Shattuck Charitable Trust. Save the Harbor also appreciates funding support from Arbella Insurance Group Foundation, Inc., Blue Hills Bank Foundation, Blue Hills Bank Pavilion, Breckinridge Capitol Advisors, Clipper Ship Foundation, Inc., The Paul & Phyllis Fireman Charitable Foundation, Inc., Lovett-Woodsum Charitable Foundation, Mass Humanities, Red Sox Foundation, TD Bank Foundation, Boston Bruins Foundation, Thomas & Lucinda Foley, Reebok Foundation, Santander, South Boston Community Development Foundation, Andus Baker & Rowan Murphy Family Fund, Community-Suffolk, Inc., Goulston & Storrs, Matthew J. & Gilda F. Strazzula Foundation, Solo Produce, and hundreds of individual donors. Save the Harbor would like to thank all of our Youth and Family Program Funders, Mass Humanities, and Massachusetts Bay Lines for their generous support of this event. 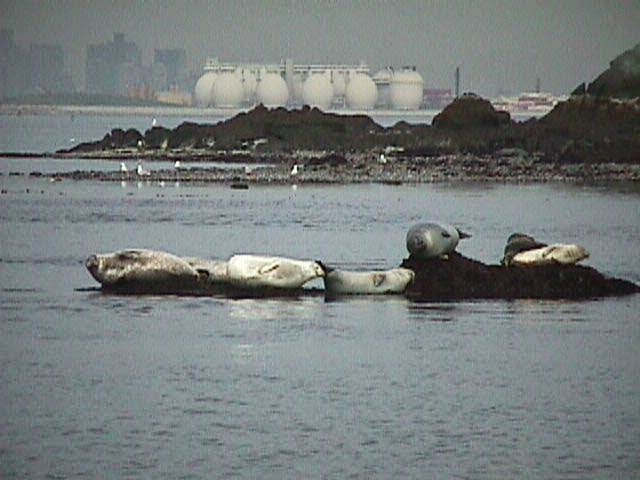 "Seals, porpoise and striped bass, Boston Harbor has them all. We hope you’ll join us for another cruise, in the summer and the fall!" Save the Harbor's Marine Mammal Safaris - Renewed Porpoise and Seal of Approval! On Saturday, April 26th, Save the Harbor will celebrate Spring with two free Marine Mammal Safaris that will depart from Rowes Wharf on Mass Bay Lines to Calf Bay and the Brewsters to look for the harbor seals and harbor porpoises who share the harbor with us in the spring. These FREE cruises are open to school groups, community groups, youth organizations, families, and friends of Save the Harbor/ Save the Bay. The morning cruise boards at 9:30 am, departs at 10:00 and returns by 12:30 pm; the afternoon cruise boards at 12:30 pm, departs at 1:00 and returns by 3:30. Harbor porpoise off Constitution Marina in Boston Harbor. 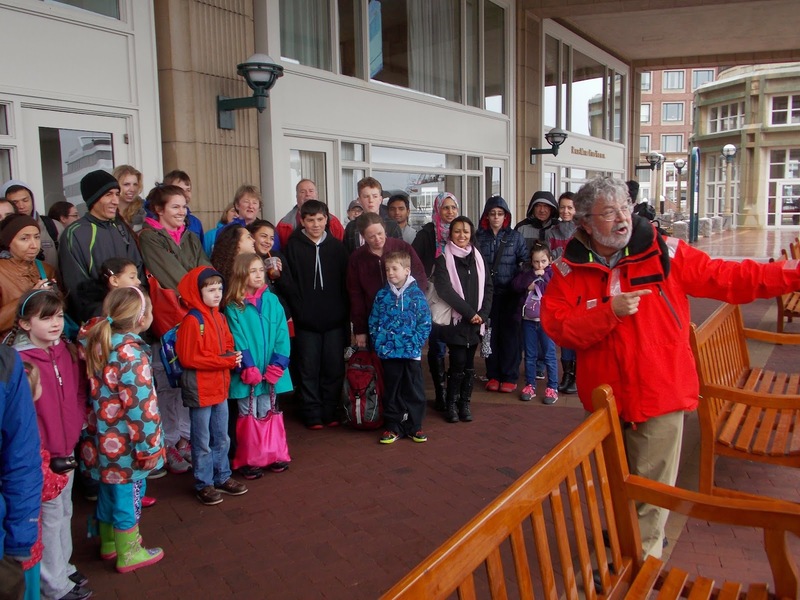 The trips will be narrated by Save the Harbor/Save the Bay’s Bay Watcher, Bruce Berman. Though we can't promise that we will see them this year (though we usually do! ), we can promise you a great time sharing songs and stories on the water, and taking in the sights, sounds, and smells of the harbor and the bay. Tickets are free but space is limited, so RESERVATIONS ARE REQUIRED! To make a reservation for your organization, family, or friends, please contact Amy Gaylord at (617) 451-2860 x1008 or gaylord@savetheharbor.org. Please specify which cruise you would like to go on! 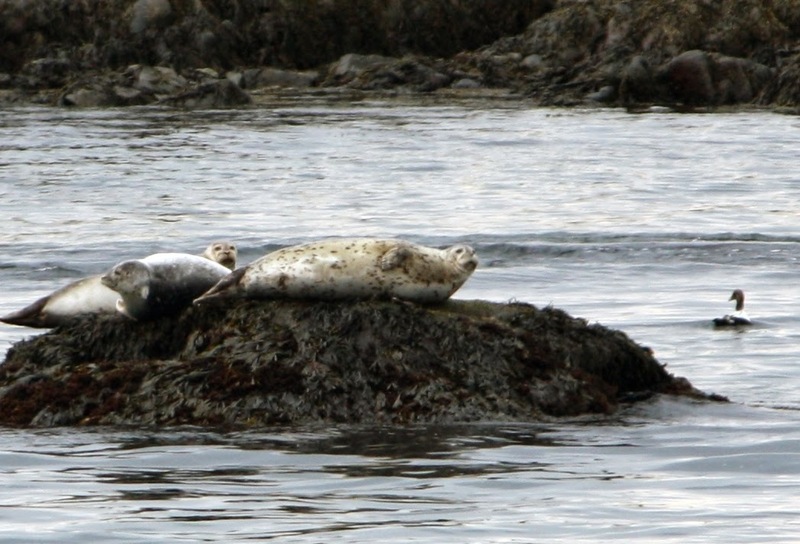 We spotted this harbor seal just off Boston's Fish Pier! Feel free to bring your binoculars to help us find the seals and porpoises! Dress in warm layers as the weather is often cooler and windier on the water. Snacks and beverages may be purchased aboard the boat, but you are also welcome to bring your own brown bag lunch. For more information please visit www.savetheharbor.org, like us on Facebook follow us on Twitter, send us an email us at info@savetheharbor.org or give us a call at (617) 451-2860. Mass Humanities and Massachusetts Bay Lines for their generous support of this event! When I began my internship at Save the Harbor/Save the Bay I was excited to jump head first into something I had been passionate about for many years. Since I was an environmental student in college, Save the Harbor/Save the Bay was and is a perfect opportunity for me to learn about non-profit organizations, environmental issues, and its protection and restoration methods. 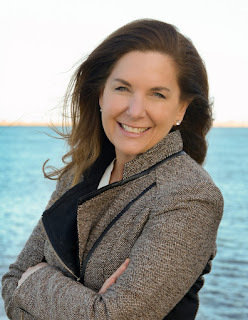 During the first two months I researched national beach closings, coastal water quality and how to protect Massachusetts beaches from climate change. This particular project was interesting since it discussed material which was new and exciting. After the completion of this project, my boss asked me what I wanted to work on next and about my future goals. That was when reality hit [again] and I realized I had some tough decisions to make and soon. For months I had been trying to dodge the question that needed my attention. I knew avoiding the questions was the worst thing to do, but I continued to do it. I would freeze when family members questioned my plans after graduation and the line of work I wanted to be in. I often feel suffocated; not knowing where to go and how to help myself. The one and only clear answer I now have is that I want to work and learn more about the environment and the strategies to protect it and the public. The environmental field encompasses many different areas of study and I am still struggling to focus my attention. As a recent college graduate with minimal experience I know I am fortunate to have any experience in the environmental or non-profit field which ultimately may help me to determine my goals and interests. After 11 months since graduation and not having a clue to what comes next; I often feel I am behind my peers and it feels as though I am running a race trying to catch up to them. Many of my peers found jobs fairly quickly after graduation; which led me to doubt myself, my future, and interests. I have had a tough time realizing that every person is different and we are all capable of different things. More importantly, for the sake of our own sanity, we should never compare ourselves to our peers and friends. I often think back to the times I have visited abroad and saw young children whose lives have already been planned -where they will work and live. In those moments I realized that I am fortunate to have the impossible task of figuring out my first job and my future. 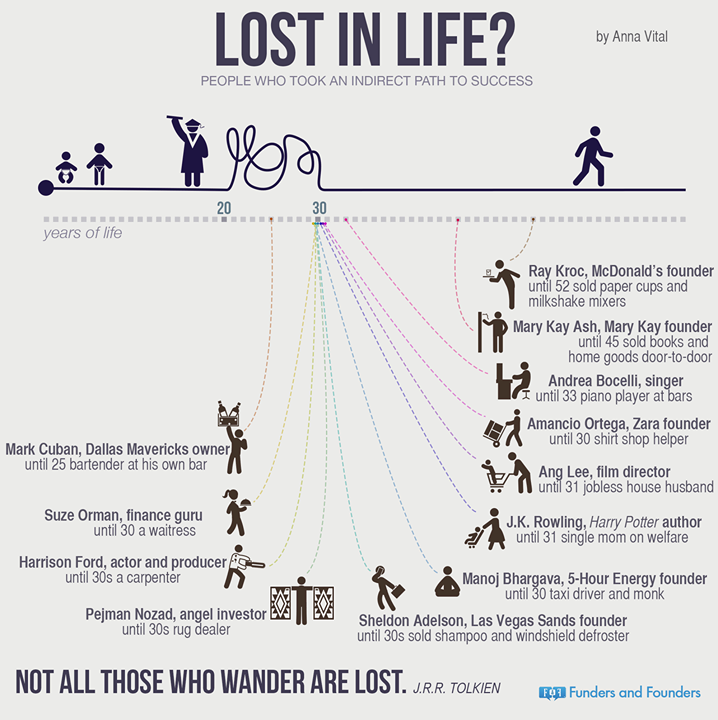 At the age of 22, I have a dozen opportunities that wait for me. I can't imagine my future working one type of job in only one particular field; and hopefully I don't have too. Even though I want and like the idea of having options; I sit here today feeling anxious and scared. At the conclusion of my internship at Save the Harbor I desperately wanted answers or a sense clarity. 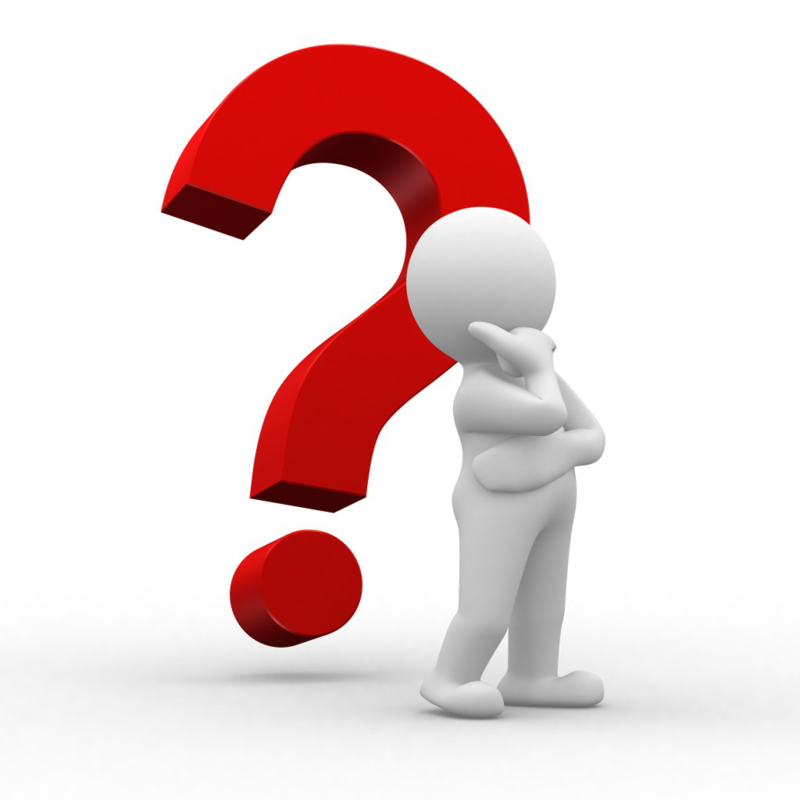 I may not have an answer right now, but I know it’s important and I will no longer “dodge” the necessary questions and topics. For now, I need to keep learning important skills which will help me strengthen my candidacy as an applicant; I need to keep reading and find career paths that I might be interested in; and I need to go beyond my comfort zone and ask people for advice and build connections. I would like to thank the staff and interns at Save the Harbor/Save the Bay for helping and supporting me. I am so happy to have had this opportunity learning about environmental issues along with meeting people who share the same interests. Finally, a special thanks to Bruce who forced me to think about things when I didn't want too. Interning at Save the Harbor/ Save the Bay has not only been a learning opportunity but it has been a growing experience both personally and professionally. On that note, I may still be a little lost and confused; but I am fortunate enough to have a network of friends and colleagues at Save the Harbor to support my struggle until I find my first full-time job and ultimately my career. My name is Dennis Poole and I'm an environmental policy intern with Save the Harbor/Save the Bay. I joined this organization in January and have found my experiences thus far professional, educational and enjoyable. Within the first three weeks I took part in two hearings with Metropolitan Beaches Commission (MBC) and I'm currently working on a project with two other interns involving water quality with beaches in Boston Harbor. On February 1, 2014 I was fortunate to take part in a public meeting hosted by the Metropolitan Beaches Commission at the UMass campus in Boston. It was interesting to hear the concerns of the resident beach patrons and the MBC commissioners plans on how to address their concerns and simultaneously improve the quality of our beaches. At one point I was able to listen to and share ideas with committee officials from Nantasket Beach in Hull. Beach Projects ranged from the construction of docks and ferry services in order to facilitate more transit to the islands. The information and goals presented by the MBC and the citizens who attended reflect the qualities I like to see in a community. I am especially happy to be part of a team where I can apply the critical and analytical skills I learned in college in a way that benefits the greater community. Researching ways to improve the quality of our environment with peers that share the same goal is personally rewarding and beneficial to the surrounding community. The team here at Save the Harbor/Save the Bay consistently demonstrate their commitment to the well being of both its staff and the communities in which it serves. The staff here is very attentive in training and guiding us in a conducive manner that develops our professional abilities with our personal goals. The atmosphere here is both professional and fun, not only am I getting a chance to learn and experience the many professional aspects of environmental policy but I'm enjoying the journey. On Wednesday evening, April 2nd Save the Harbor/Save the Bay will host our annual corporate fundraiser Destination Boston Harbor, which brings together 350 of our corporate and community partners and political and policy pals. 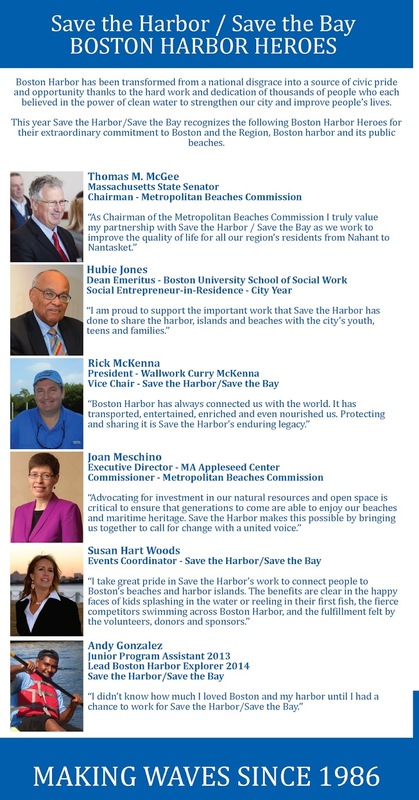 At our 25th Anniversary in 2011, Save the Harbor began a tradition of honoring Boston Harbor Heroes for their work to transform Boston Harbor from a liability into an asset for our residents and our communities. There are still a few tickets available to Destination Boston Harbor, and some unique auction items including the chance to throw out the First Pitch at a Red Sx Game at Fenway Park thanks to our friends at JetBlue Airways. For more information call us today at 617-451-2860.